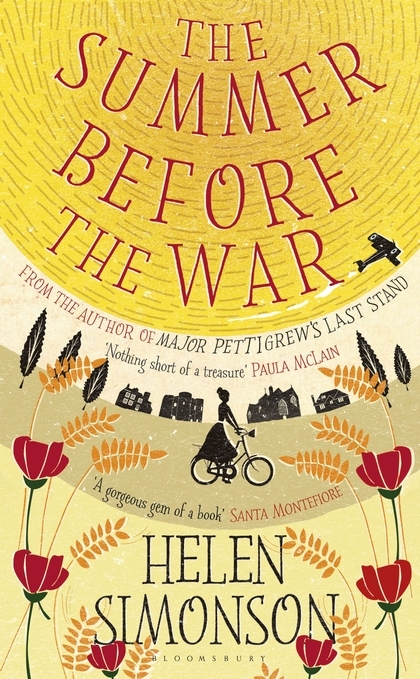 Helen Simonson sets her new novel, “The Summer Before the War,” in the summer of 1914 when Europe is contemplating the unthinkable – a German invasion of Belgium. In the English seaside town of Rye the residents are agog at the arrival of the new Latin teacher, Beatrice Nash —a bright, attractive and fiercely independent orphaned daughter of academic parents who is not prepared to endure uncritically the social restrictions that prevail in the town that later inspired E F Benson’s Lucia novels. Fans of Simonson’s “Major Pettigrew’s Last Stand,” will once again enjoy the perceptive social comedy in this lively and engaging book which gains added depth as we are drawn inexorably towards the effects on the town’s inhabitants of the onslaught that will ravage a generation. Helen Simonson will be in discussion with authors Polly Sampson and Suzanne Joinson at a Festival event on May 23rd at 7.30pm in the Gluck Studio, Chantry House. Access from Elm Grove Lane.